The Summer Solstice Sun-rise which you can observe from the Stone circle in the Heritage Park on the morning of 21st June each year is a spectacular sight. When you stand in the Stone Circle, look east at a Cairn on the horizon, the sun will rise directly behind the Cairn at 6.40am. It then shines down over the Fulacht Fiadh and in through the two Entrance Stones and onto the Boulder Burial to form a perfect alignment. On the same evening, you can observe the Summer Solstice Sunset by looking to the Northwest from the centre of the Stone Circle. When the full disc of the sun touches a rock on the horizon at 9.15pm it forms a perfect alignment with the Ringfort by the river and the Standing Stone in the Heritage Park, and then onto the Centre of the Stone Circle. Once the sun touches the Hill Top it disappears below the horizon in a mere four minutes. The Winter Solstice, Sunrise must be observed from St Fiachna’s Cemetery about 1KM southeast of the Stone Circle at 9.46am. 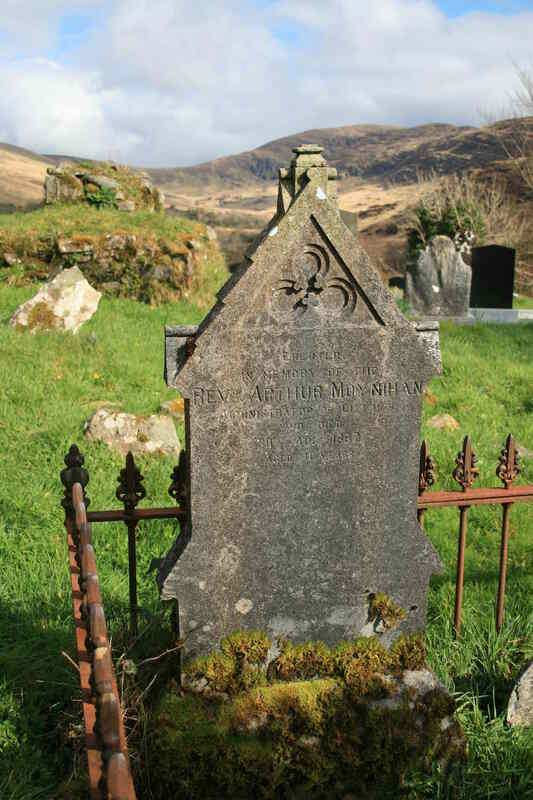 The Cemetery is one of the oldest Christian Burial places still in use in Ireland and almost certainly pre-dates Christianity. The western boundary of the cemetery with its highly important “Kink” together with the Bullaun Stone, form a perfect alignment with the Rising Sun at the Winter Solstice (mid-winter sunrise: 21st December). It has at been observed that on this date the shortest day of the year, the rising sun seems to “climb” up the side of a nearby mountain in a rolling fashion. The full disc becoming visible as it reaches the summit. This spectacle can be observed as you walk along the western boundary of the cemetery to the Bullaun Stone. Amazingly the mountain top, the Bullaun Stone, the boundary of the cemetery and the Stone Circle (directly behind you) form a perfect alignment. Should you be interested in attending any of the above mentioned Sunrise or Sunsets please Contact Us via email or phone.